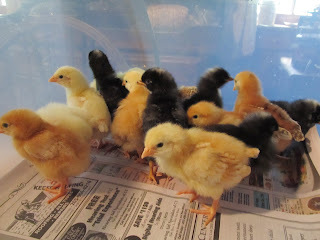 Out of the 26 baby chicks we rescued last week, we were able to save 16 of them. Five days in a shipping box was very hard on them and I am so thankful that they called us. They have doubled in size and out grown the laundry basket and are now in the largest bin I could find, my yarn bin! They are little eating, drinking and pooping machines. Doing further investigation of what happened, the person who ordered these chicks in Hawaii did have all the proper permits, it seems there was an error made at the Dept of Agriculture and someone is in a lot of trouble. 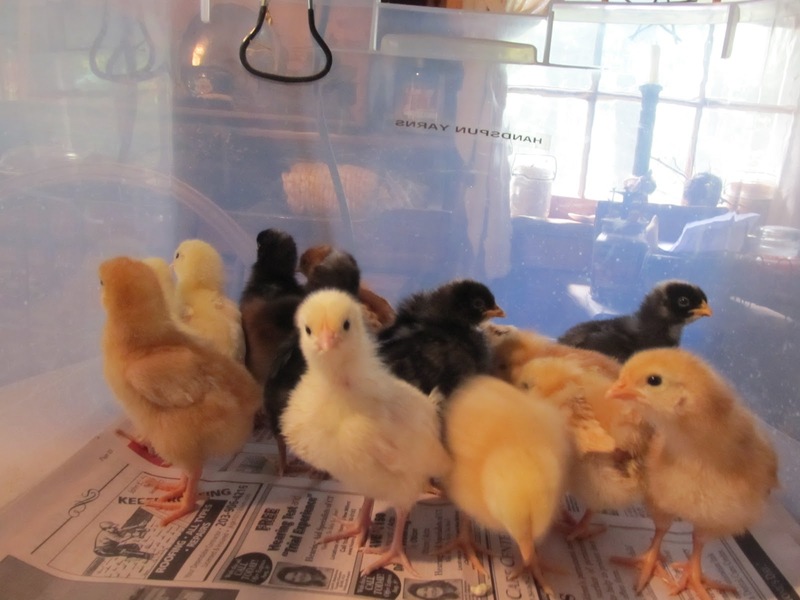 I am just happy to have them, Tim and I were already talking about building an extension onto our chicken coop which we were already planning to do. We have all the material as well. These are all brown layers so we will be able to add to our egg business which is growing. I got a call from a friend two days ago who is expanding his business in Hamden and wants me to supply his new store with eggs, honey and whatever I can come up with. So these chicks were really meant to be! Hello, glad the little chickies are o.k. they are cute at that age. Thats great about the store, hope they lay lots for you. Enjoy the weekend,Francine. Bee drinking with her "straw"